If you don’t know about the fabulous Ms. Laverne, she’s one of the stars of the TV series Orange is the New Black and she’s the first transgender person to be nominated for an Emmy. Orange is the New Black isn’t really appropriate viewing for seven-year-olds, but I had shown M. the photo of Ms. Cox on the cover of TIME when it came out last year, so M. had a vague idea that this was someone important who was also transgender. But I don’t think she really got it until we showed up for the event. The line snaked out of the venue for half a mile. There wasn’t an empty seat in the house. We got there early enough to snag seats near the front, and when Ms. Cox walked into the room, the crowd went nuts. M. and Alice’s daughter went nuts, too, cheering and clapping for the glamorous lady everyone seemed to love so much. I think ours were the only kids in the audience. Most of the speech went over their heads. But here’s the message that I hope got through to them: Here is someone who is talented and smart and famous and beloved by the multitudes – and she’s also like you. A friend of a friend knew the event organizers, and she told us she might be able to sneak us into the smaller reception following Laverne’s speech. I kind of doubted that she’d remember to put our names on the list, so as M. sat on my lap, caught up in the frenzy of the crowd, I told her that she might (“just maybe”) get to meet Laverne that night. Our names were on the list. Laverne wasn’t there yet when we entered the private reception hall, but M. staked out a place near some doors at the far end of the room. There were multiple entrances. Why did she think Ms. Cox would come in through those particular doors? M. ignored my question and stood alone at the far end of the room, her back to me, her eyes glued to the doors. She was right. 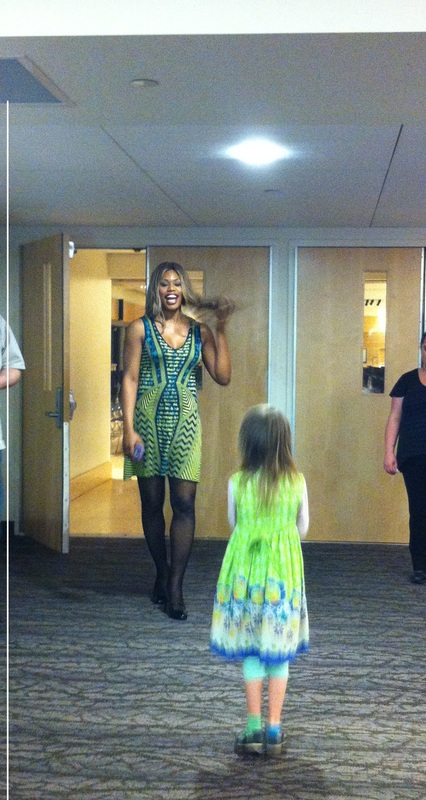 A few minutes later, Laverne burst through those doors, and the crowd went nuts once again. But this time, a tiny person in a flowery sundress stood between her and that crowd, looking her in the face, waiting to be noticed. “I’m M.,” my daughter said. “And I’m trans,” M. said. I stepped forward. “I’m her mom.” Then I got tongue-tied in the face of celebrity, and forgot how to speak like a normal human. I have no idea what I said. 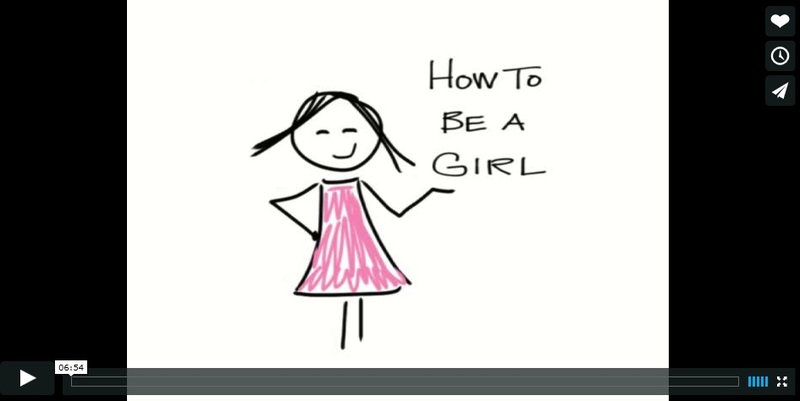 ← None of your beeswax! I loved this. I have given much thought to Caitlyn ‘ s story, as I have difficulty with the whole publicity ties. I have been trying to accomplish this without judgement. I do love Laverne Cox! Beautiful post. Made me tear up. Thanks for sharing. It just gives such hope. Great article. Beautiful! Thank you so much for sharing. The world really is changing and it’s happening right now. All the best from someone who’s been there too. While I’m not transgender, I am gay. I know what it’s like to be young and scared of what people might think. I actually look up to this little girl for being so brave. You think you’re going to be in trouble, or people will make fun of you. Bottom line: who cares what others think? People are so quick to judge something as negative, just because it is different. Everyone is entitled to their own opinions, please just try not to hurt others in sharing them. This totally hit me right in the feels. I saw the warm fuzzies coming from a mile away, there was no twist ending, and I was still overcome with all of the feels by the end. There’s also something especially awesome about the fact that your daughter and Laverne are wearing matching outfits. The way you advocate so strongly for your daughter, foster her ability to make informed decisions, and stay attuned to her thoughts and feelings is more than a little awesome. I wish I saw more parents like you for kids of all gender identities. So amazingly beautiful. I love it. This blog makes me so happy! 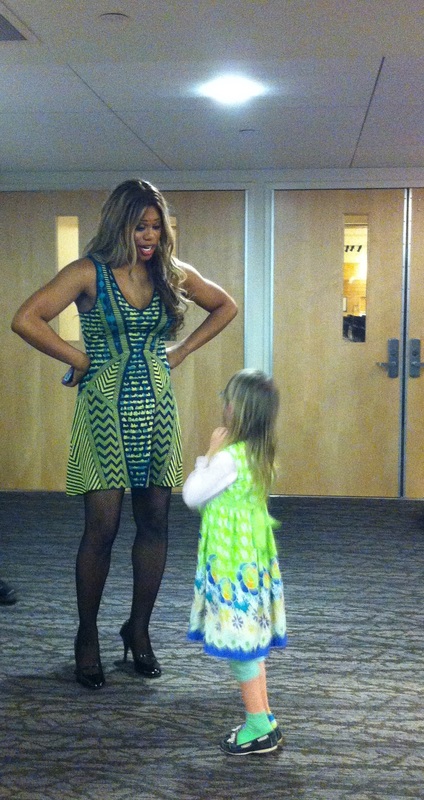 I’m so glad this little sweetheart got to meet Laverne! Meeting other people just like you is so important and so many only get to do it when they’re older. I’m so happy she has such support and love and understanding. “Transgender is beautiful.” – yes we are! That is so beautiful! A wonderful gift for all three of you. Crap, I’m crying here, thank you for sharing. Tears. Congratulations on a wonderful daughter who met a spectacular woman, both of whom showed they have beautiful hearts. And your daughter’s mom is pretty impressive too! Emma: “No, I have my outfit picked out already, and I don’t think they will give us that much homework at first”. Kids these days are much more tolerant than previous generations. Tears of joy…and so happy that there are so many amazing comments than those who do not understand, nor care to even have an open mind. Your daughter is very lucky to have you, and the support system you’ve been able to put into place! Bless her sweet little heart!! Does your “daughter” have Downs Syndrome? Why are you using your child for your own gain? Are you that needy of attention? A three year old cannot even put together the sentence you claim your child stated to you unless they were very well coached. I feel very sad for your manipulated child and see a lifetime of battles ahead. Really beautiful thanks for sharing your story ! thank you for sharing your wonderful experience. i love the show Orange is the New Black and Laverne’s character is one of my favorites. I pray that times change swiftly so that trans gender people are finally not shunned like they are lepers. I am not trans gender but i know a few people and it is perfectly fine to be who you are and not be ashamed. Every one has something beautiful about them.. them being trans is the least important. This is such a lovely inspirational post, you have captured a special moment in such a perfect way. 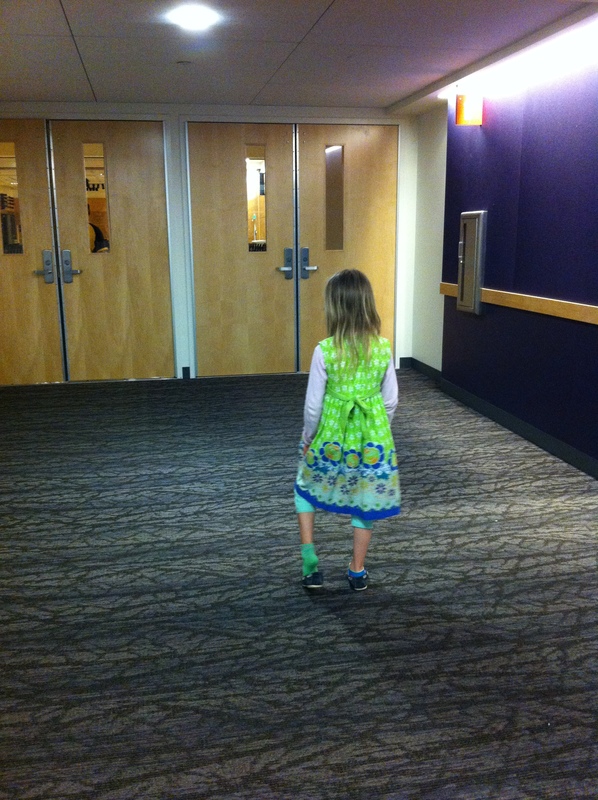 Your daughter will be able to look back at this and remember that moment forever. Just magical. I saw the article on Yahoo yesterday and I am so impressed that you are really making strides! I fully support you any chance I get. You’re such a strong woman to fight for your sweet little girl and I commend you although if you think about it this is what any good mother would do for her daughter! And you my dear are one of the best! I could hardly see through the tears when I read this in June. After reading an interview you gave I decided to re-read this. Now I am teary eyed again. You embody what it means to be a parent. Thank you. Oh ,my gosh I can barely see to type through my tears! This is beautiful and I am SO glad your daughter had this amazing experience and validation of her awesomeness! I am just SO sad that my transdaughter did not have a childhood like this. God bless you. Oddly, when the child wanted to choose the name “Rainbow”, Marlo Mack made him pick another, presumably because that’s something for which a child’s word is insufficient. “Girls can have penises” is, alternatively, the sort of thing a child can know. Actually, one suspects that every part of ‘M’s gender identity comes from Mack, who started in with this when the child/victim was three, and has since made a career of talking about it. Wow. Amazing. Thank you for sharing. Hi there! I am brazilian, this story got really popular on internet, turned out I read it by the time you wrote it but I haven’t watched OITNB yet. Now that I watched it, and knew who was Laverne, I googled this story again, read it again and searched by the original, not the translated to portuguese ones, and anyway, I just wanted to say that your daughter is really lucky for having you and to grow in a moment where Laverne is here, giving voice to girls like M. Congratulations, hugs from Brazil! Thank you for your beautiful blog posts, I’ve reblogged this one because I wholeheartedly agree, the world IS changing for the better for your daughter, mine and all the other transgender kids out there.